Science fiction is evidently much older than cinema. Its origins have been traced to colonial expansion and the experiences of Europe. It was arguably initiated by the marvellous journeys to other worlds which precedes SF in literature. The Copernican shift from a geocentric to a heliocentric understanding of the solar system provides a crucial point where the marvellous journey starts evolving into science fiction. But developments in the physical sciences were not the only important influence because the recognition that the course taken by one’s culture is only one among several possible ones was also crucial. In the fifteenth and the sixteenth centuries, Europeans greatly expanded the extent and the kinds of contacts they had with the non-European world. Europeans mapped the non-European world, settled colonies in it and exploited its resources. Historians of science fiction generally agree that utopian and satirical representations of encounters between European travellers and non-Europeans — such as in Thomas More’s Utopia (1516) and Jonathan Swift’s Gulliver’s Travels (1726) – form a major part of the genre’s prehistory. They also concur that the period of imperialist expansion in the late nineteenth century is the crucial period for the emergence of the genre. Science fiction came into visibility first in those countries most heavily involved in imperialist projects — France and England — and then gained popularity in the United States, Germany, and Russia as those countries also entered into more serious imperial competition. There are, consequently, two key responses to colonialism which take the guise of science fiction. The first is that science fiction becomes an extension of the Victorian adventure novel – having no place on Earth left for the exoticism of unexplored territories, the writers invent places elsewhere (e.g. H Rider Haggard). The second kind of novel is a radical reversal of hierarchies in which invaders treat earthlings the way the colonialists treated ‘savages’ and this is a way in which HG Wells’ The War of the Worlds (1898) has been read. If a cultural effect of contact with ‘savages’ was to regard them as models for what the ‘civilized’ had once been, it found itself reflected in science fiction which began regarding humanity as a passing phase which would be got beyond as in Welles’ The Time Machine (1895). Ideas about the nature of humankind are central to all literature, but scientific accounts of humanity’s origins and its possible or probable futures are especially basic to science fiction. The historical past is also important to science fiction in as much as our experience of the past influences our imagining of the future. Science fiction no longer implicates only the physical sciences and with the growing importance of biology, there is an enormous range of SF dedicated to strange diseases, biological warfare and cloning. With the coming of the electronic age, the internet and robotics, possible themes have multiplied further. What remains constant is that true SF is speculative and should concern itself with humankind’s future. These futures could also be imagined as extensions of today’s socio-political happenings. Ray Bradbury’s novel Fahrenheit 451 (1953) about a future in which all books are burned was provoked by the threat of book burning in the United States in the McCarthy era and is considered a classic of science fiction. It may be self-evident that, with its capacity to produce the imagined as spectacle, cinema has been particularly suited to take on SF themes, and the advent of digital animation has strengthened this capacity. But there are nonetheless two aspects that cast doubts on the validity of much of recent cinema as legitimate SF, i.e. most of it, while producing spectacular effects pertaining to the ‘never-experienced-before’, are not engaged in imagining or speculating about the future of humankind. In the first place, public knowledge of the frontiers of science today is so clouded in misunderstanding and hype that audiences are unable to distinguish even between philosophically valid ideas and gibberish, as evidenced in recent films like Dr Strange (2016). With technical jargon supplanting valid ideas it would seem that speculation is actually being endangered in fiction – since audiences are misled by obscure terminology into believing that they ‘understand’. Secondly, spectacle stupefies and visual effects distract one from questioning. On seeing Jurassic Park(1994), for instance, one does not ask how the blood extracted from a single mosquito trapped in amber can produce so many species of animal (and plant) life. But while Jurassic Park was still SF since it imagined a future affected by man tinkering with creation, most recent films taken to be science fiction bring in elements incompatible with science and scientific/technological speculation (e.g. technology and Norse mythology mingling in The Avengers). Many of them are only covert allegories which prey on current social concerns. Avatar (2009) basically warns against climate change, and does it by eulogising primitivity. The dividing line between the fantastic or marvellous and speculative science fiction is blurred today by common people not understanding scientific thought but getting its magical benefits in everyday life. 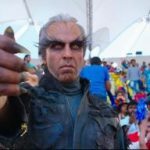 Science fiction was non-existent in Indian cinema until relatively recently because Indians have not traditionally pursued ‘contextual truths’. The ‘future of humankind’ is always contextual speculation induced by historical developments and I indicated how imperialist expansion led to science fiction in the 19th century. Stanley Kubrick’s 2001: A Space Odyssey (1968) was science fiction produced by a sense of how the expansion of knowledge’s frontiers exposed humankind to what might not be known rationally. As argued in my earlier piece on the historical film the truths pursued by popular cinema in India are not contextualised in history but are ‘universals’, and the same is true of Koi Mil Gaya (2003) which, to my knowledge, was the first Bollywood film to claim to be SF. This film, as readers may be aware, is about a young man, the son of a scientist investigating extra-terrestrial intelligence, who is miraculously gifted with superhuman abilities when he accidentally summons aliens using his father’s computer. 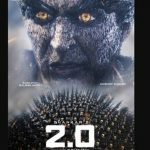 Koi Mil Gayais hardly ‘speculating about humankind’s future’ and this is substantiated when its sequel Krrish (2006) emerges as a super-hero film which is largely family drama and romance. What gives these films the confidence to call themselves SF are references to ‘scientific notions’ like extra-terrestrials but this is moot: the protagonist of Koi Mil Gaya could equally have been given his powers by a tantrik. One could therefore propose that SF in Indian cinema is largely innocent fantasy interspersed with babble suggesting current science or technology. This is also true of Ra.One (2011) where techno-babble is used to create villains with magical powers and justify the dead being brought back to life. Mr X in Bombay(1964) was also ‘SF’ since a dead person merely happened to be invisible! Bollywood’s biggest ‘SF’ hit may have been Rajkumar Hirani’s PK (2014) with Aamir Khan as an alien forced to confront aspects of social behaviour in India. It is to PK’s credit that it does not play up the extra-terrestrial angle but positions itself as social satire about present day Indian society and its contradictions. ‘PK’ can also be understood as an intelligent reference to Pakistan as India’s ‘other’. 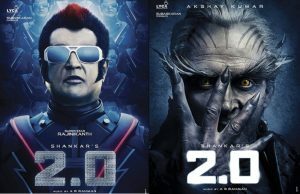 PKdoes not use expensive special effects as Enthiran does and this is appropriate considering that such effects are only efforts to convince audiences of ‘plausible science’ underneath. 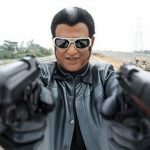 Enthiran and 2.0 are big budget films because of their pretence that they are not merely stories about twins but actually implicate robotics. 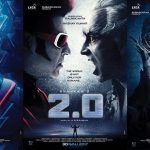 I have hitherto dwelt exclusively on the science fiction produced by popular cinema but a more difficult question is why the Indian art film has ignored the possibilities offered by the SF genre. Speculative science fiction is intellectually challenging and the art film caters to educated audiences. The reason for art cinema not venturing into SF domain may be the supposition that science fiction needs big budgets; it could also be due to art cinema’s unwavering commitment only to social issues. But I have already argued that science fiction only needed to speculate about humankind’s future and that even the socio-political developments of today — and not only technology — could provide the impetus. Given this opening for science fiction, cannot even the recent demonetisation of currency notes provide film-makers with an opportunity? One can imagine a future in which all use of cash is disallowed, but with one exception. The only place where cash might still be spent is the temple where notes and coins are dropped into the priest’s ‘mangalarathi’ plate, beside the burning camphor. The reason for this concession could be the recognition that God is the only One with neither a bank account nor an Adhaar number. Such a scenario, I propose, would be straight out of a science fiction film.